You’ve just completed your warm up. You feel stronger than ever. You decide to do it. You take a good look at the pull up bar. Your mind is totally still. You extend your arms, jump and grab the bar. You stay hanging for a moment. Then you contract your lats and pull your shoulder blades back. While squeezing the bar with all your might you flex your biceps and close your arms. 3… and voila! Your chin is over the bar! You hang for a moment and then let go of the bar. This was your first pull up ever! Does it sound like a distant dream? Would you like to achieve your first pull up as well? Well, you are closer than you imagine. In this article, you are going to find exactly what needs to be done in order for you to achieve your first pull up. What Muscles Do Pull Ups Target? Since the pull up is a compound movement, lots of different muscle groups are used during the movement. Different muscle groups are targeted to different degrees depending on the variation you are training with and the form with which you perform the movement. Here you are going to find all the different exercises that you can use to help you achieve your first pull up. The exercises are going to be divided into 3 distinct categories. As pull up progressions I refer to the exercises that you can use to gradually progress towards the pull up. All of these exercises can be modified easily so that they gradually lead you towards the pull up. This is by far the easiest progression. The difficulty level of this exercise can be easily modified by changing the height of the pulling surface. The higher the pulling surface is, the easier this exercises is going to be. In the assisted pull ups, you are going to need a tool that can help you assist yourself in the movement. Such a tool can be rubber bands, a chair for leg support, etc. You should focus, on using only as much assistance as it is necessary to perform the pull up. In addition, you can increase the effectiveness of this exercise by adding some negative reps into the training. When you can finally achieve one pull up, you should continue to follow the same protocol as you did with the assisted progression. Do the pull up and the slow down at the negative portion of the exercise. This way you will be able to reach 5 consecutive pull ups really fast. The auxiliary exercises are going to help you target weak spots (like grip strength, shoulder mobility, etc) so that you can perform the pulling exercises with very good form. This exercise is going to help you open your shoulder joints. The active hand will help you strength the depressed scapula position, which is essential for performing pull ups with proper form. Both types of hangs are going to help you increase the strength and endurance of your grip. Brachiation is going to help you strengthen your shoulders, grip and lats. All of these 3 auxiliary exercises can be effectively used in your warm up sessions. Mastering the scapula positions is an essential step in performing any upper body bodyweight exercise correctly. As such, if you want to perform pull ups with perfect form you will have to master the basic scapula positions. 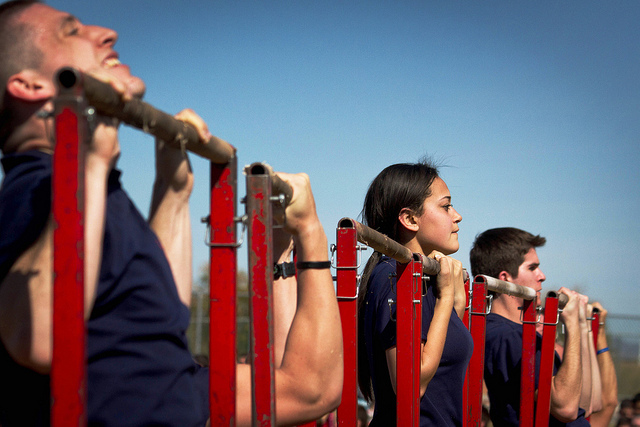 Of course, not all of these 4 positions are needed for the pull up. However, you should train all of these positions evenly to avoid muscle imbalances. In this exercise, as the name suggests, you are going to transition from passive hang to active hang. This exercise is going to help you strengthen the retracted scapula position. As said in the previous section, to perform a proper pull up you will have to master the basic scapula positions. Not all of the 4 positions are needed to perform the pull up. The ones that are needed are the depressed and retracted scapula. First you begin in the dead-hang position. You depressed your shoulder blades and come to the active hang position. Just before starting to close your arms you should lean a little backward by pulling your shoulder blades back. 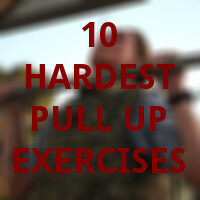 After that, you can start closing your arms to perform the rest of the pull up. In the top position, your shoulders are depressed and your arms completely closed. As you descend, you should follow the reverse motion. Extend your arms fully, while keeping your shoulders retracted and depressed. Then let your shoulder come to the neutral and depressed position. If you want to, you can go into a passive hang after each rep. However, you should always be mindful of going back to the appropriate scapula position before pulling yourself up. In this section, you are going to find the training plan that will help you achieve your first pull up. There are going to be 2 training plans depending on your current pulling strength. These training plans aren’t going to be complete, meaning that you will have to include pushing, leg and core exercises along with the pulling progressions. From Which Progression Should You Start? To find out the right progression for you, you should test your current level of strength. To do this, you should see if you can complete 5 consecutive reps of horizontal pull ups at hip height. Which leads us to 2 different possible cases. 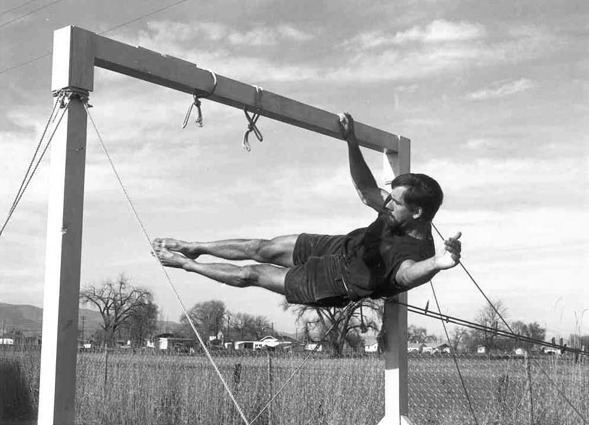 In this situation, all you have to do is to increase the height of the pulling bar to make the exercise easier. You should start out from shoulder height and gradually test your way until your reach a point where you can’t perform 5 reps. If you can’t perform 5 reps at shoulder height, spend a week or two training with the wall pull ups. If you are able to do this, then you are ready to proceed on to the assisted pull ups progression. In the first case, your goal is to reach 3 sets of 8 reps for each progression. When you can do this, you can move on to the harder progression until your reach the progression at hip height. If you can complete 3×8 at core height but still you can’t complete 5 reps at hip height, you should also train at the level between core and hip height. 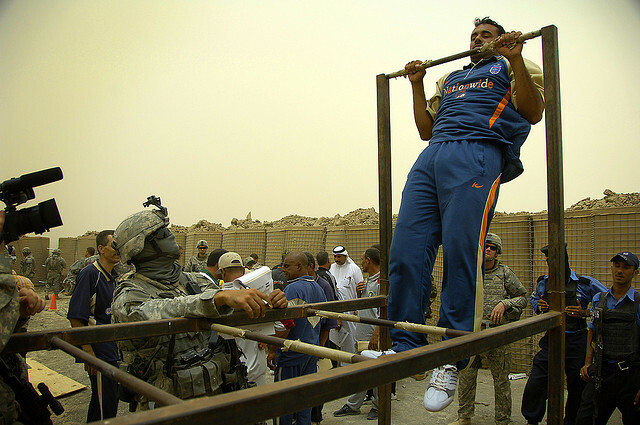 In the second case, you are still going to train with horizontal pull ups but to a lesser extent. You will start training with the assisted pulls ups as well. You should start with the progression at hip height and once you reach 3×8, you should increase the height of your feet. You should do this until your feet reach knee height. After that, you can train with one arm horizontal pull up progressions. In regards to the assisted pull ups, your progression depends largely on the tool that you’re using for assistance. If you are using bands, you can start with a strong band at your foot and then when you perform 3×5 move the band to your knee. Then, once you reach 3×5, you can follow the same sequence with a weaker band. And so on. In case you are using your legs, you will have to follow a different approach. Since it’s very hard to measure the assistance you are using, you should always try to use as less resistance as possible to perform the pull up. You should always complete 3×5 reps when training with this approach. In addition, a greater emphasis should be given in the negative portion of the movement (approximately 5-10 seconds or more). The first week is going to be the same for both training plans. 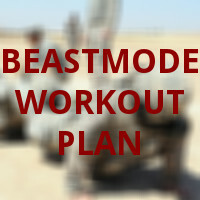 During this week, you are going to train with a progression that is a step easier from the ideal one. For example, if you have found out that horizontal pull ups at core height are the ideal progression for you, in the first week you are going to train with the bar at chest height. The goal is to get you accustomed to the training and prepare you for later on. The pull up training should be your first exercise in your workouts when you are still fresh. This way you will be able to progress faster. Sub-max means that you are going to perform as many reps as possible without going to failure. Rest 3 minutes between the sets. Don’t train in consecutive days. Similarly to the previous week, you are going to train 3 times per week. Here you are going to train with the same pulling exercise all of the 3 days with the goal of reaching the hip height progression. Same as notes from week #1. Here you are going to train with two pulling exercises alternating between them. The one is going to be a horizontal pull up and the other the assisted progression. The 4th week is going to be the same for both training plans. During the deload week, you should drop the intensity by training with easier pulling progressions. The 5th to 7th week are going to be like the week 2-3. The 8th week is going to be a deload. First of all, let’s see what are the different gripping variations for the pull ups. Since you are a beginner (assuming you can’t do a proper pull up yet), from all these variations, only the first three should concern you. From the underhand, overhand and neutral grips, the underhand is usually the one that most people find easier and more natural to use. I have known people who could do some pull ups with underhand grip, but couldn’t do one with an overhand grip. 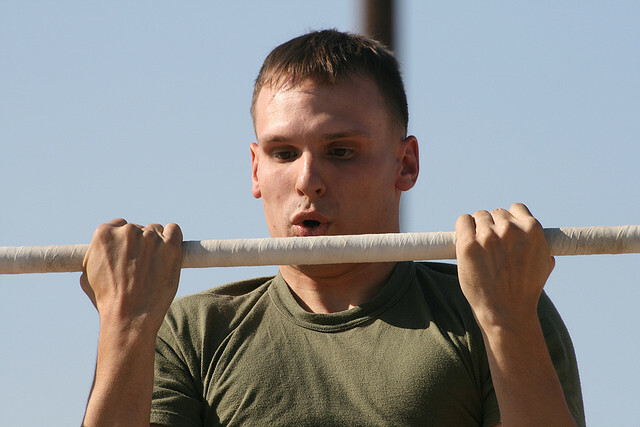 The neutral grip isn’t a very common grip since you can’t use it on a regular pull up bar. What I would recommend you to do is to alternate between the different grips. If you find that your reps are going down while in an overhand grip don’t worry, you’ll just have to get used to the gripping position. When you reach the final step (assisted pull ups), I would recommend you to train only with the grip that is the most comfortable to you, until you can perform 5 consecutive pull ups. Then you should focus on building some strength on the other grips as well. In this section, I am going to answer some of the most common questions I have been getting in regards to pull ups. Question #1: How long will it take to achieve my first pull up? This depends a lot on your current level of strength and overall physique. 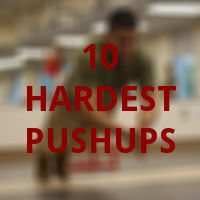 Someone who can perform 10 push ups, for example, can achieve it faster than someone who can’t. Generally speaking, the pull up isn’t a very advanced move and as such it doesn’t take too much time. I’d say the average rate of achieving a pull up is 3 months -/+ 2 months depending on your current strength. If it takes more you more than 5 months (without having injuries), then you are probably doing something wrong. Question #2: I don’t have access to a pull up bar. Is there a way to still get stronger and achieve my first pull up? 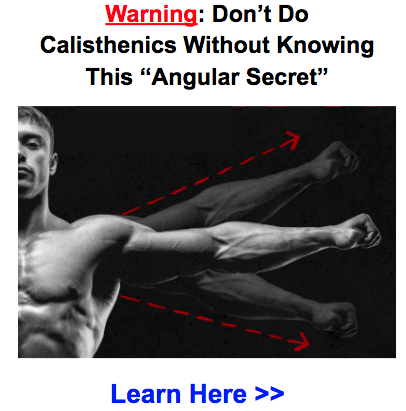 Getting stronger with other calisthenics moves (e.g. push ups) can help you in achieving your first pull up. That’s happening cause other exercises will help you strengthen your back and arm muscles. Keep in mind, though, that it can only help you up to a certain degree and it won’t be as fast as if you were training directly with pulling variations. Question #3: I have access to weights Todd. Can I use them to progress faster? You can certainly use the weights you have, if you want to. However, they won’t necessarily speed up your progress. Lastly, your main focus should be on the bodyweight exercises. The dumbbells exercises should be used as an auxiliary movement at the end of the workout. Question #4: Why In The Second Training Plan I’ll Still Have To Train With Horizontal Pull Ups? That’s cause the horizontal variations and the vertical ones aren’t the same moves. The horizontal pull ups train more shoulder retraction and the muscles associated with it, while vertical pull ups train more shoulder depression. By training both of them, you are going to develop a stronger back. Todd I can already perform 8 pull ups with very good form. What should I do next? You are in a very good place, and I wouldn’t consider you a beginner anymore. As a next step, there are multiple paths that you can follow depending on your overall goals. And the hybrid path that has qualities of all the different paths. Depending on the path, your training is going to be different. You should follow this path if your goal is to achieve high reps of pull ups. You should follow this path if your goal is to achieve advanced pulling movements like one arm pull ups, front and back levers, etc. This path is for those who want to have explosiveness in their pulling motions. This is the most common path people want to follow. Training with programs that lead to this path is going to result in you becoming a more complete and all around athlete. A great example of a combined puller is a climber, who can perform easily one arm pull ups, has lots of endurance and explosiveness as well. 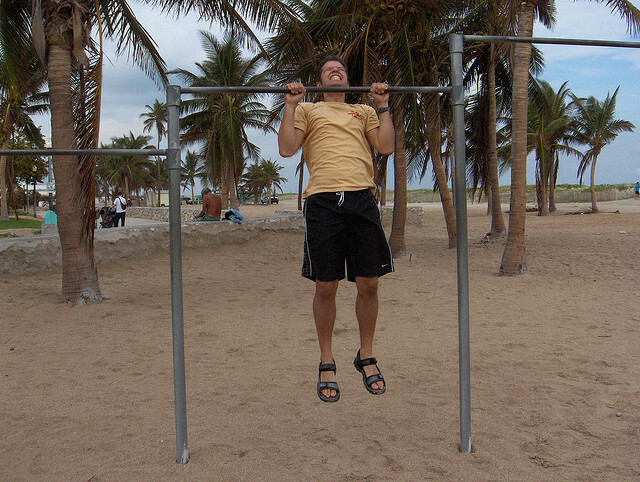 The pull up might seem a daunting exercise for most beginners. However, achieving the actual movement isn’t going to take as much time as you might be thinking. If you stick up to a proper plan, like the one I shared with you in this post, and work hard, your fist pull up is just around the corner. Do you have any questions in regards to this post or pull ups in general? I have read somewhere, that if you are stuck on some exercise then it might be helpful to do the exercise few times a day, every day. Not to a failure and not even making it too strenuous though. Apparently it makes the progression much faster. 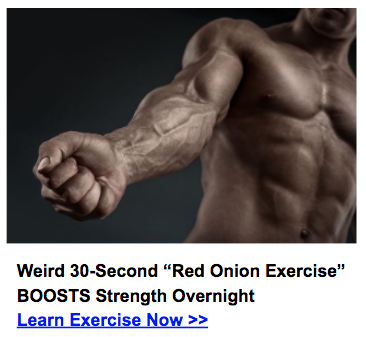 I guess it gets your body used to the movement if you do it every day. Is there a name for this sort of training? Would it work in my case? If yes then how would I go about it exactly? How many times per day, for how long etc.? Another option would be to use a rowing machine or assisted pull up machine. I got a cheap membership to a gym where I go for yoga so I do have access to gym equipment. Unless you have other ideas on how to make this exercise easier. I’m not sure about everyday, but you can certainly try do the exercise more frequently. What I would recommend is doing the exercise VERY slowly. Aim for 3 seconds up and 3 seconds down. I think that should help.